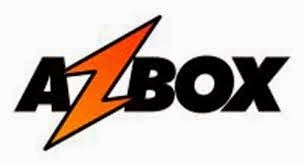 Uma noticia não muito boa nesta sexta feira, direto do forum oficial AZBOX: confiram o pronunciamento oficial e cheguem a uma conclusão. "Everything that have a begin also have end, unfortunately we have no way to recover back from the problems suffered (believe was many), the price of popularity is very high for everybody and makes impossible give decent support to all, for all of us is much better if we don't give support. But, we will not leave you, we already share our sources on web and with major teams... Maybe soon... The teamq"